Brief Synopsis – A hard look at many of the world industries that are contributing to the rapid extinction of many of the animal species on Earth. My Take on it – This is a great example of a worthwhile documentary film that starts off well and then gets confused midway through as to what it what trying to accomplish. 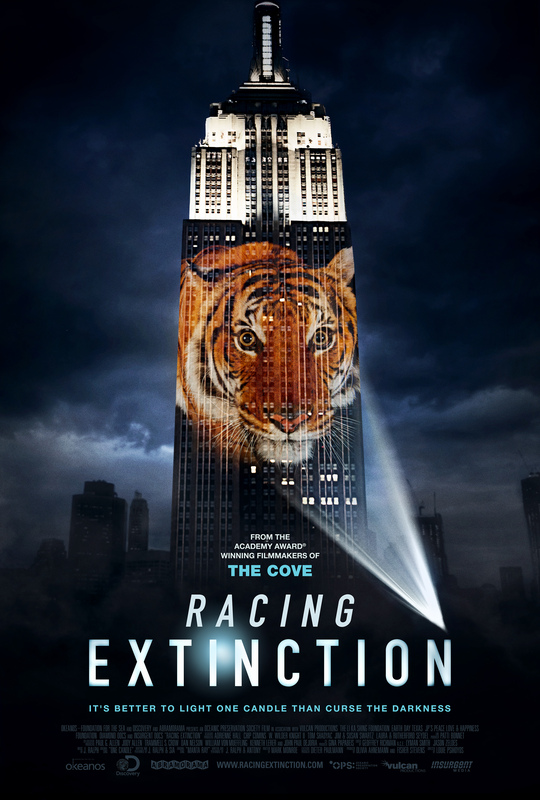 We get why it’s all important and also understand how certain extinctions can be stopped or slowed but unlike Blackfish (2013) or The Cove (2008), this film doesn’t stay in focus long enough on one subject because it wants to highlight ALL of the problems all at once. And that is essentially what is missing here to bring it up to the top tier; focus. I think that perhaps this could have been more powerful had it been longer because then it might have felt more focused on each of the different segments presented instead of feeling like a rush to talk about as many problems as necessary one after the other after the other. Bottom Line – Definitely takes a growing issue and tries to highlight how important it us to try and stop people from destroying the near extinct animal species on the planet. Unfortunately, this tries to go too big and parts feel like it isn’t being thorough enough in its investigation due to what seems like a loss of focus. Perhaps if the movie would have been longer it wouldn’t have felt so rushed. Recommended!